Looking for a WordPress theme to promote your service or products? 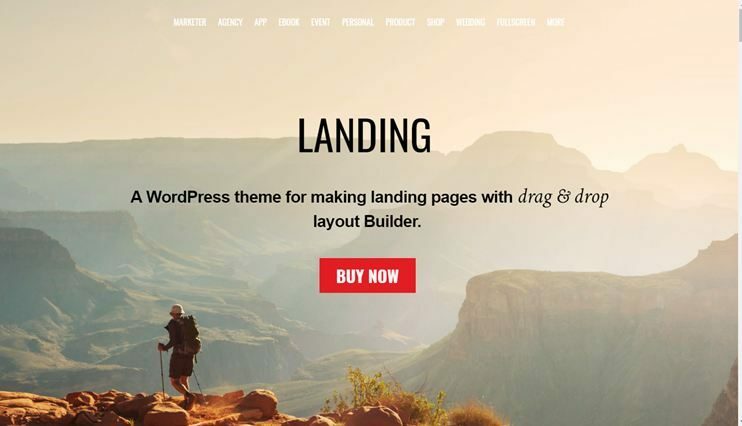 You surely need to check out the following landing page WordPress themes!! Be it an application, a service or a business, such templates are the best way to advertise. 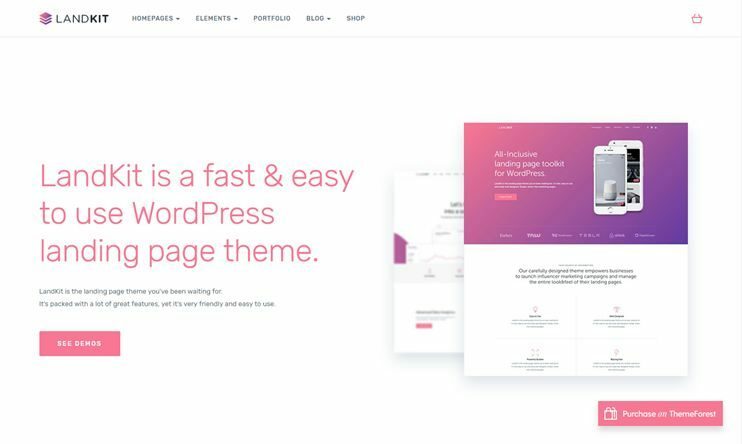 So, here’s a list of some brilliant landing page WordPress themes of this year to let you create a simple yet amazing website with better conversions. This article highlights the main features of the theme. You can click the know more button to visit the sales page of the theme and know in detail what the theme has to offer. Here’s a conversion focused Landing page WordPress theme from Templatic. With smooth transitions and designed to please, this theme is ideal for focused promotion of your product or service. You can even use this multipurpose template for creating professional portfolios. 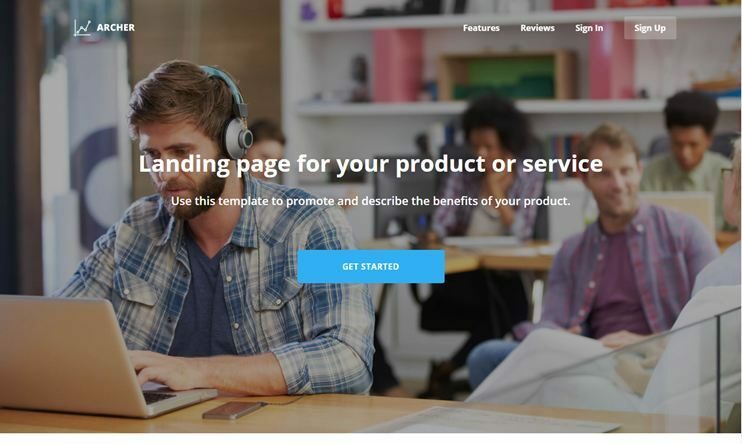 Have a look at these awesome landing page templates and select the perfect fit for your purpose. Landing page comes with easy options and a simple structure to represent your products online. 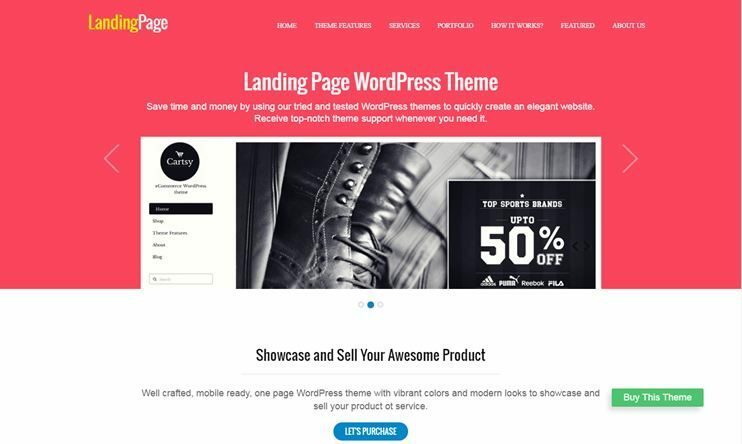 Landing Page is a sleek multi-purpose WordPress theme that you can use to showcase any type of product or service. Making this happen are extensive portfolio features as well as full compatibility with the free WooCommerce plugin. To top it off, this WordPress landing page theme comes with a big focus on homepage management. Pretty much every piece of content can be appended to the homepage! 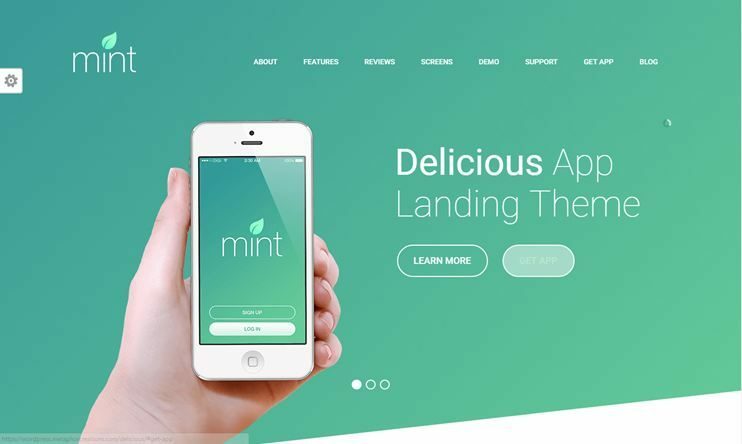 Landing page is one of the best WordPress landing page themes. It comes with a drag and drop page builder and plenty of customization features. The theme is multipurpose and can be customized using easy and convenient features. It includes the themes drag and drop page builder. You can display your portfolio using the portfolio post type. It has many demo versions and header options to choose from. Landing allows WooCommerce integrations and has a special post type for events. Landing is SEO ready. It also allows mailchimp integration. Landlr is a multi purpose landing page theme. 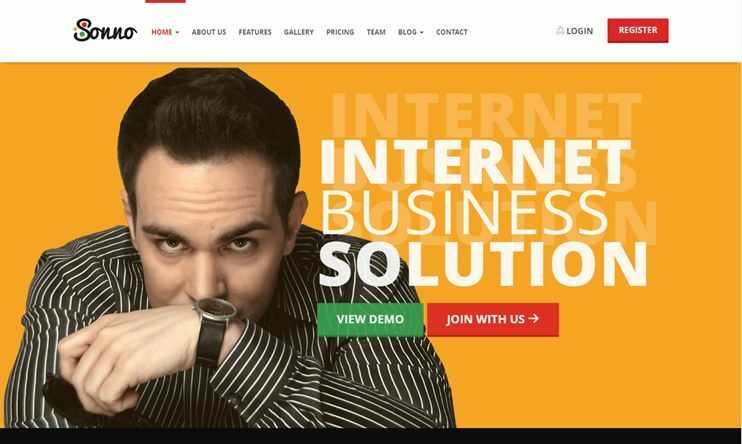 The theme is designed to let you create website for launching web projects and apps but can be used for almost any purpose. The theme has a minimal and modern design. You can sort the menu order and the section will appear according to it. The theme is SEO optimized. For customizing the theme you have abundant and intuitive menu options and shortcodes. It is translation and multi-language ready and also supports child theme. 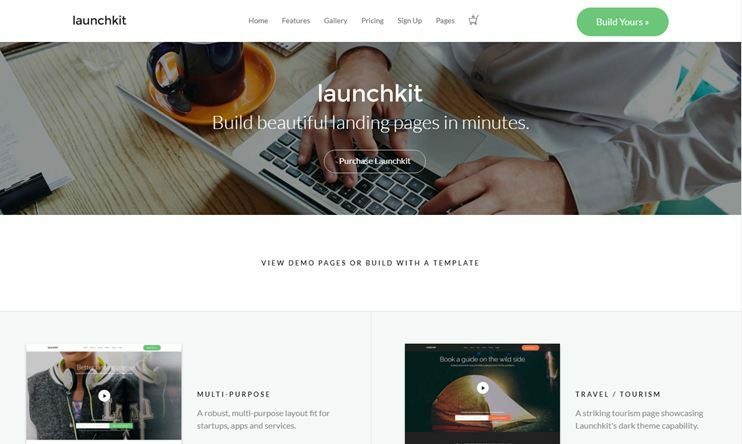 Launchkit is one of the most flexible WordPress landing page themes. It can be used to create a website for launching a new product or any other purpose. Launchkit comes with the Visual composer page builder included. So, you can create and manage pages with drag and drop options. The theme allows you to choose from the predesigned demos. With the WooCommerce support you can create a shop easily. The theme lets you select a suitable header for your website. Launchkit is SEO friendly. You can create forms using the Contact form 7 or Gravity forms plugins. It also includes a child theme template. 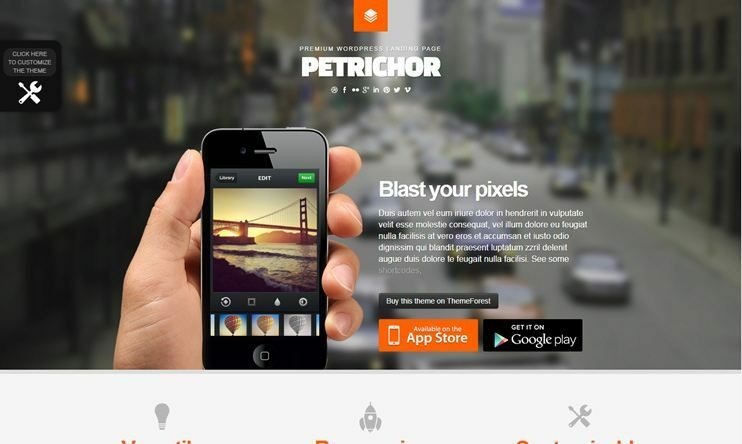 Petrichor is a multipurpose and single landing page WordPress theme. The theme can be used for creating any kind of WordPress website. It is flexible and has simple options. It allows customizations with a live customizer that shows real time preview on the same screen. You can choose from the 9 color schemes. There are theme options to change the theme settings. You can also set the desired header and background. 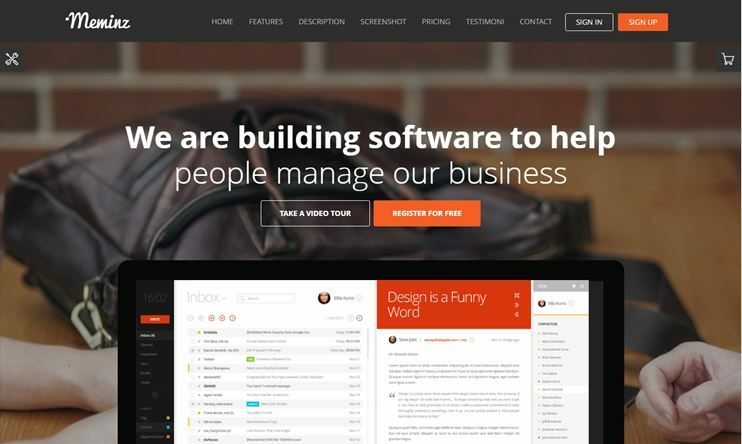 The theme has a clean and modern design that focuses on content. It can be used by a design agency to showcase their work or by a company to launch their product. There are two homepage designs dedicated for these purposes. Fusion supports SiteOrigin Page builder to allow effortless page building. To style your content you can use the Shortcodes. Display the images with the gallery options. There are unlimited customization options you can use for your website. The theme is SEO optimized. Fusion also comes with child theme included. The website can look amazing with the retina ready icons and sliders. 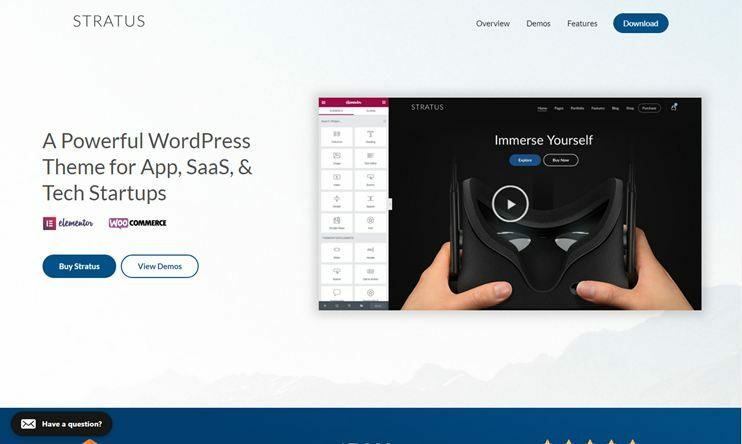 Stratus is a landing page wordpress theme for app showcase and SAAS. It is beautiful and supports parallax background sections. The theme focuses on quick conversions. It has space to let you display the options for instant conversion. The slider is touch optimized. You can edit the template with the drag and drop page builder. For content styling you can use the shortcodes. Everything in the theme can be managed using the powerful admin options. It is translation and multi-language ready. It also supports the popular WooCommerce plugin for ecommerce facilities. 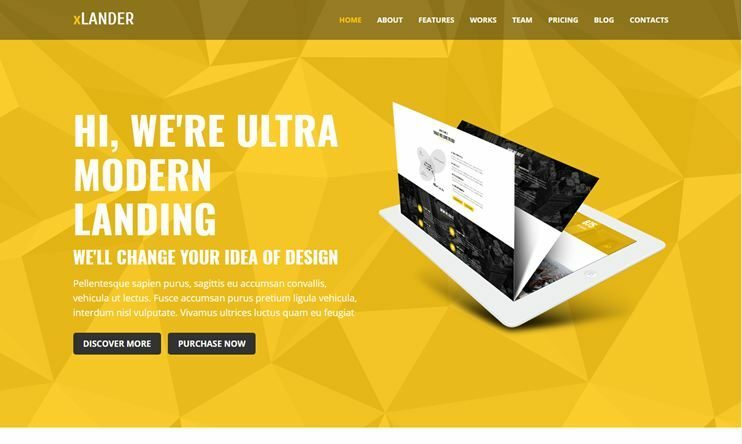 Kodax is one of the amazing WordPress landing page themes, that can be used for multiple purposes. The theme is SEO optimized. You can integrate WooCommerce and start your shop right away. For CSS changes, you can use the Custom CSS editor. You can showcase images using one of the 3 gallery variations that also includes isotope gallery. It comes with a child theme template included. You can install the Contact form 7 plugin for creating forms on your website. Kodax comes with unlimited customization options. So, you can make the theme look just the way you want. 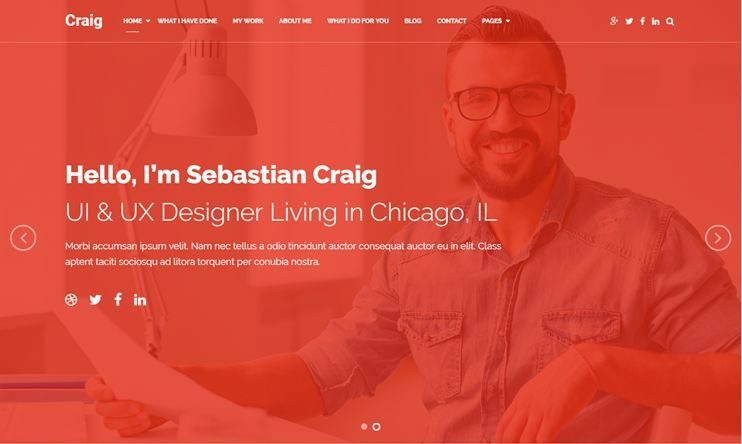 Craig is a multipurpose WordPress theme for online portfolios, business/service landing pages, etc. Craig allows Visual composer page builder to create pages with drag and drop options. This landing page theme includes smooth parallax design and multiple homepage layouts that you can choose from. The theme comes with .Pot files for translation, and is compatible with WPML plugin for multilingual support. The theme comes with a clean and SEO optimized code, so that the visibility of your site is boosted. Meminz is a theme for presenting software. The theme is simple and has a purpose oriented design. There are a few demo versions available to let you select from. You can manage the page with the Visual Composer page builder. To create forms on your website, you can use Contact Form 7. If you want to sell digital goods, example : A software or an ebook, you can use the easy digital downloads. The admin options are provided by the Redux framework options panel. 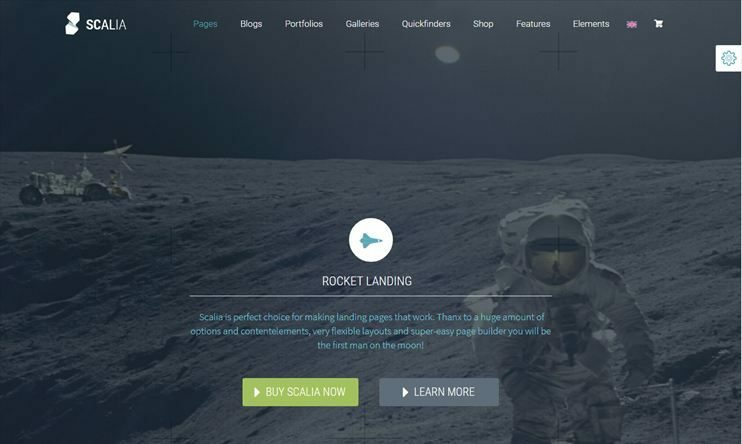 Scalia is one of the best WordPress landing page themes. It is beautiful and multipurpose. It allows you to pick up from the 5 page designs. 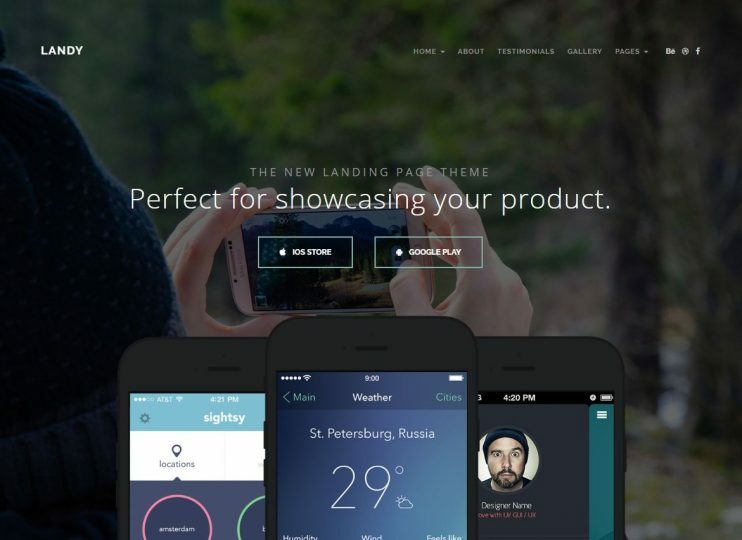 One of theme is parallax landing page. Create pages with Visual Composer, and sell products with WooCommerce. The theme is SEO optimized. The admin options are plenty and intuitive. The theme comes with abundant page layouts. It also supports Video sliders. To display your images you can apply the suitable options for your gallery. 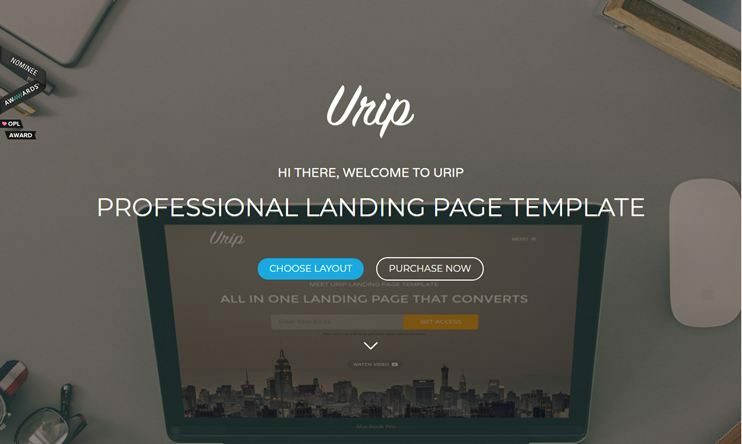 Urip is a multipurpose landing page WordPress theme and has all the qualities for a website. It is designed to create a website for any topic. The theme has the flexibility to let you create anything you want. It lets you use the Visual composer for drag and drop page building. It also supports WooCommerce. So, you can create an online shop easily. The theme is fully customizable and you can make it work exactly how you want. The code of the theme is clean and well commented. The theme can have desired skins and allows you to upload fonts. To make the content more intuitive you can use icons. Urip is SEO ready. 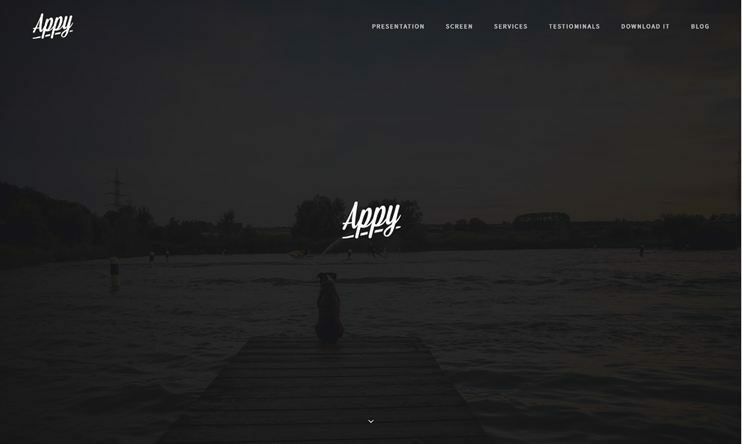 Appy is an easy to use WordPress app landing page theme. It has a clean, content-focused design and is easy to use. 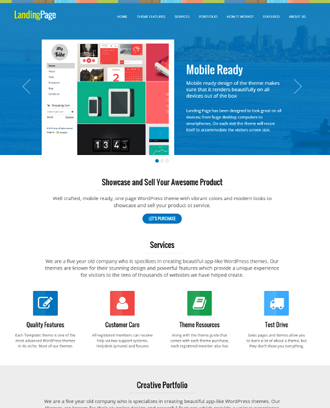 The Appy WordPress theme includes smooth scrolling and animations effects that you can easily attract users. It has beautiful parallax background. The theme does not require any coding skills as you can customize the site easily. This landing page WordPress theme is RTL ready, and you can use WPML plugin to create a multilingual website. CrossWay is a multipurpose landing page WordPress theme. It can be used to create a website of any niche. It can even be used to create a multipage website. CrossWay supports parallax scrolling background. The theme allows Visual composer page building. It is also compatible with the Whoathemes VC extensions. It comes with ready to use contact form. Customizing the theme becomes easier with the advanced theme options. This theme is SEO optimized and comes with a clean code. It also has a child theme template included for advanced customizations. 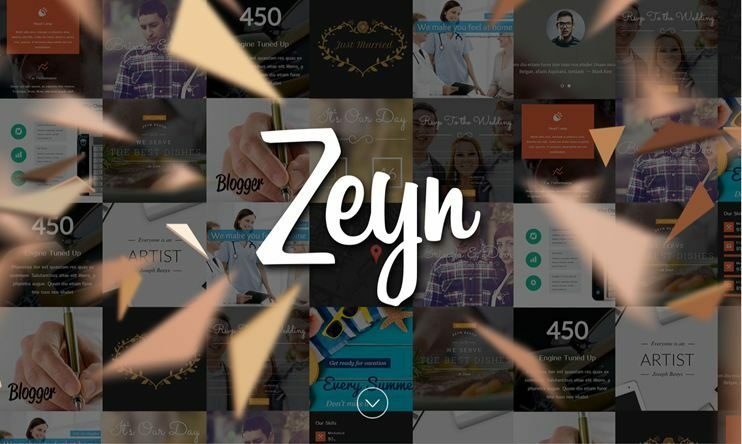 Zeyn can be used a multipage website as well as a responsive landing page WordPress theme. It is rich in features and functionality. There are 4 versions of the landing page demos. They are : Startup, event, product launch and app. You can choose the demo that serves your purpose. With the easy and intuitive customization options, you can customize the theme. The Visual composer page builder comes inbundled to aid page building. You can control the theme settings with the powerful theme options. Zeyn also supports WooCommerce plugin for ecommerce features. 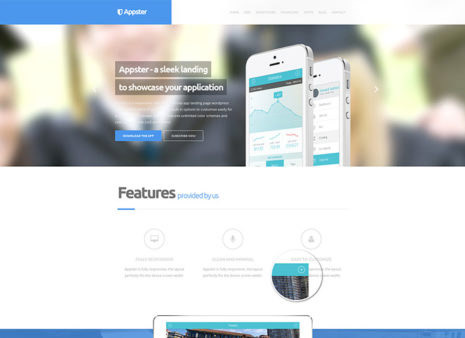 Appster- as the name implies is one of the powerful WordPress landing page themes for apps. The theme is extremely easy to use and maintain. You can create pages with the drag and drop content builder. The theme supports Contact Form 7 and mailchimp integration. The theme is eye pleasing because of its Css3 animations. Appster allows you to customize the element animations. You can even choose the pricing table layout! Dikka is a responsive and multi purpose WordPress theme. 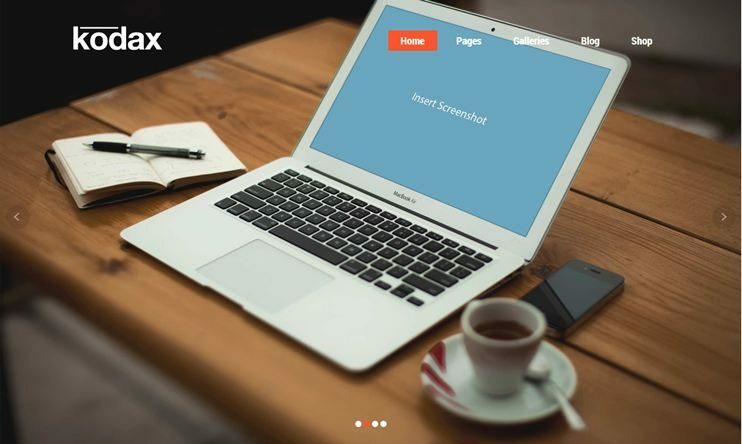 It lets you create a onepage or multipage website. It comes with an inbuilt drag and drop page builder to create pages. The theme has 5 demo subjects. 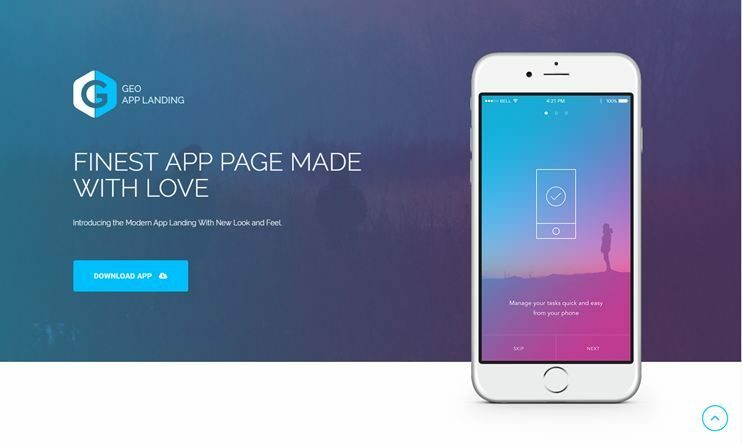 The App landing can be used to create a landing page website for Applications. The theme options are provided by the Redux framework options panel. The theme allows creating eshop using the WooCommerce plugin. Dikka is SEO optimized and supports child theme. 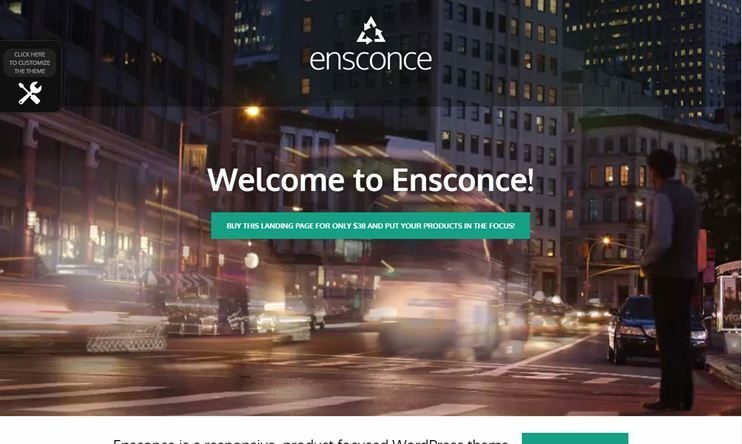 Ensconce is a video Landing page WordPress theme. The theme is simple, easy to use and consists of all the basic features required. The theme features a fullscreen video header. It allows YouTube embeded video. The theme is optimized for mobile devices. To display your images, you can use the lightbox gallery. To showcase your work you can use the portfolio options. It comes with abundant shortcodes to style your content. Ensconse is translation ready. With the easy and intuitive customization options. 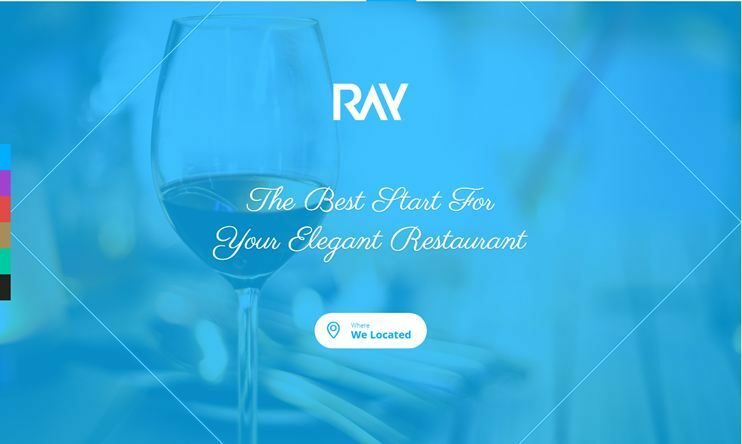 Ray is one of the best WordPress landing page themes. It is beautiful and feature rich. The theme is multipurpose. Ray allows you to choose from the 5 demo versions. The theme comes with Working contact form. It supports ecommerce features by using the WooCommerce plugins. It has unique section for iframe video and pricing tables. It comes with mockups for multiple platforms . You can choose from the color scheme options for your website. For newsletter facility, the theme allows MailChimp integration. Landy is a minimal and clean landing page WordPress theme. It comes with over 14 homepage layouts. Landy comes with the playneshortcodes plugin included. It supports solid color, image or video background. You can customize the theme with the WordPress customizer. With Landy, you can choose from 15 animations for the header text. There are many customization options and you can try different combinations and make the theme look and work just the way you want. 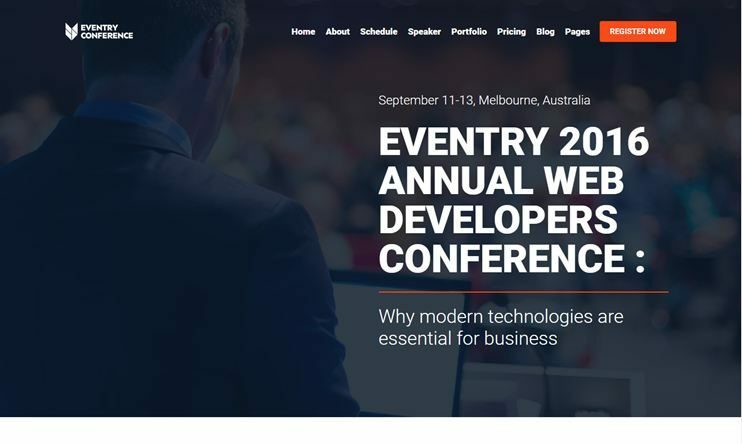 If you are looking for a WordPress theme to create an Event landing page, this one is for you. Simple yet detailed, this theme is ideal for creating websites for Meeting, Exhibition, Congresses, Event, Conference Website, etc. You can choose from about 10 different and creative homepage variations. This event landing page theme supports WooCommerce, Google Fonts, Contact form 7, Mailchimp, etc . It also includes a event countdown timer. The theme is fully widgetized and can use powerful shortcodes that you can create your own design for your site. 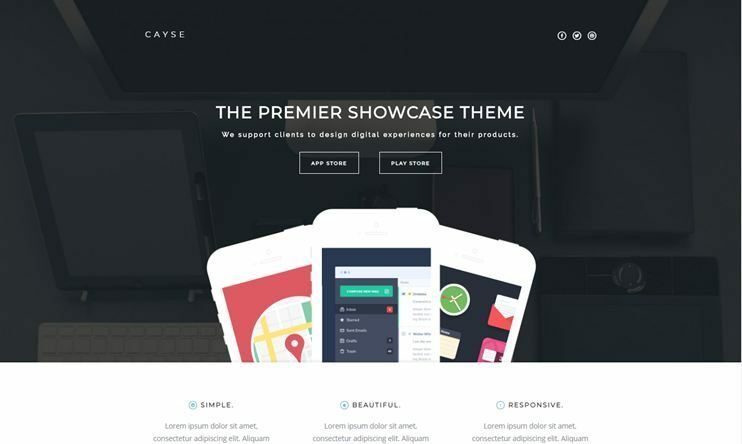 Cayse is a product Landing page WordPress theme. It is stylish and modern and encompasses all the important features. The theme can be customized using intuitive and easy customization options. With the WordPress customizer, you can customize the theme's look and see the realtime preview. The theme comes with the playneshortcodes plugin included. So, you can style and create your content conveniently. The theme also has options to display video on the homepage. It also supports mailchimp integration. It is translation ready. 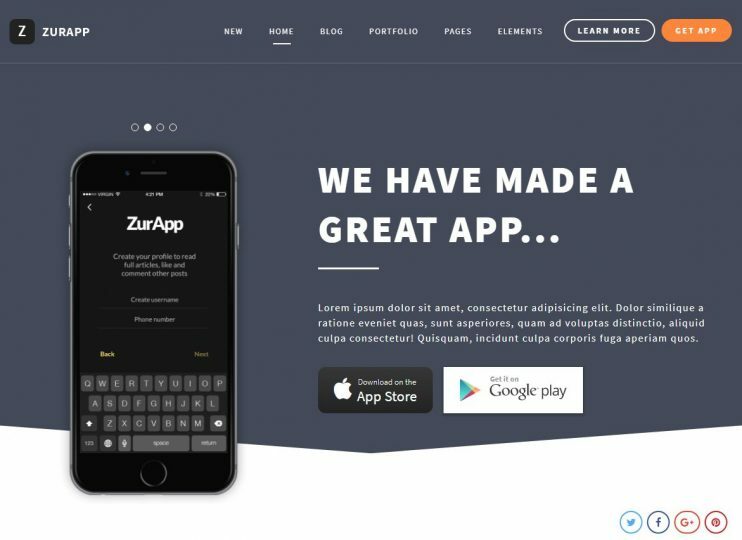 ZurApp is a multipurpose App Landing page WordPress theme. The theme allows you to choose from the 4 available skins. It has beautiful scrolling transitions and animation effects. It comes with the Visual Composer drag and drop page builder included. The theme also allows Contact form 7 for easy form building. The theme options are provided by the Redux framework. You can set your typography using the google fonts. ZurApp has a clean and well commented code. The theme has an SEO friendly code. ZurrApp comes with child theme template included. 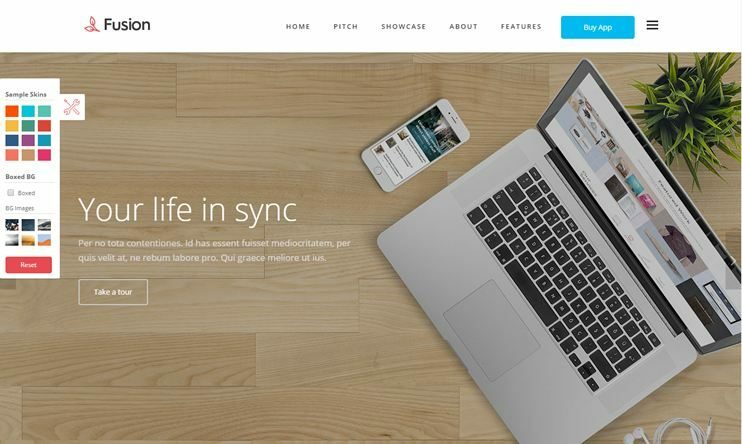 Omni is a modern and stylish WordPress theme. The theme can be used as a landing page or to create a multipage website. You can use this theme to showcase your app or software. It comes with Visual Composer page builder included. So, creating pages is effortless. There are 6 homepage versions you can choose from. The theme comes with animated parallax sections and allows video backgrounds. The images can be beautifully displayed with the isotope gallery. Omni is easy to personalize and comes with abundant customization options. 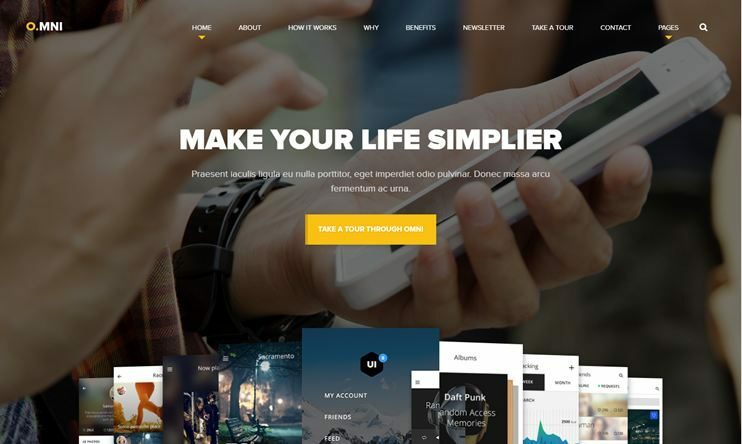 Sonno is one of the best WordPress landing page themes. It is a multipurpose theme and is best suited for marketing or personal website. There are 4 header variations and you can select the one you like. One of it supports YouTube videos. The theme comes with a drag and drop page builder to create pages. It allows to make your content more intuitive with the fontawesome icons. It comes with a ready to use contact form. xLander is a multipurpose and feature rich WordPress landing page theme. It has the flexibility to create a website of any topic. You can choose from the 5 color schemes. With the powerful utility based shortcodes you can style your content. The theme comes with ready to use contact forms. xLander includes Visual Composer page builder and supports Woahthemes VC extensions. So, you have full flexibility for page building. The theme allows CSS animations and parallax sections. It is an SEO optimized theme with clean and well commented code. xLander comes with a child theme included. Delicious is a responsive landing page WordPress theme. It comes with simple customization options and all the basic features needed for a WordPress theme. You can choose from the 3 color variants. The theme allows you to select from the blog styles. It is translation ready. With the shortcode generator you can style your content using shortcodes. It comes with 3 utility oriented custom widgets. 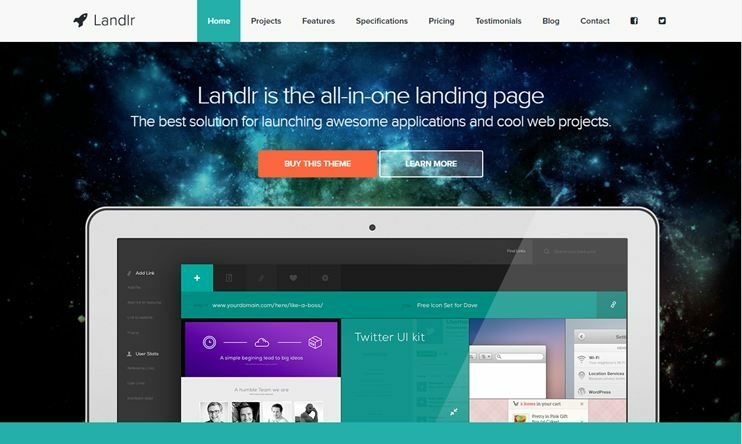 Landkit is a high-performance WordPress landing page theme. It comes with 13+ homepage variations and multiple page layouts that you can choose from. This theme is clean, SEO optimized and easy to use. 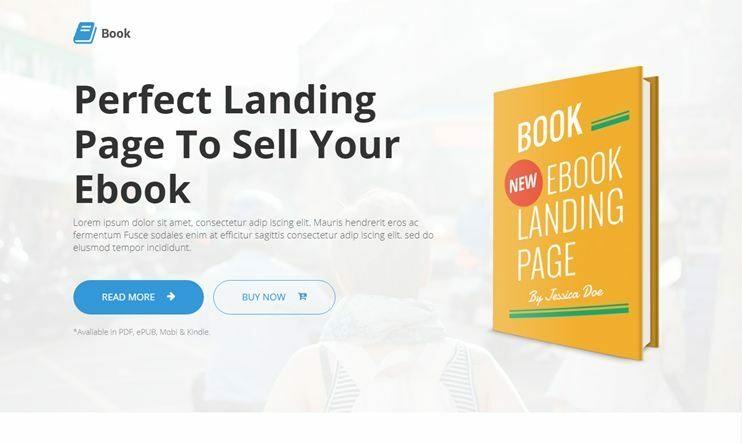 This landing page theme is compatible with WPML plugin and is RTL ready. You can choose from different header styles and there are many other options to create amazing landing page websites. Cian is a responsive and beautiful landing page WordPress themes. The theme allows you to set a full-screen header image or video. It allows you to choose from more than 650 fonts, font awesome icons. You can also choose from different animation styles. Cian supports some of the best WordPress plugins like WPML for multilingual translations and Visual Composer for drag and drop page builder. The theme is clean and easy to use and SEO optimized for better performance. Here is a niche WordPress theme for bookselling. Book is a simple yet beautiful WordPress landing page theme. You can integrate the Visual Composer page builder to create pages easily. Book is elegantly responsive and serves it purpose of selling books flawlessly. You can use Google fonts, Unlimited color customization options to create a beautiful website. Book is SEO optimized and RTL ready. Archer is a multipurpose landing page wordpress theme for promoting sales and services. You can integrate the Visual Composer page builder to create beautiful pages. This multipurpose SEO friendly theme comes with advanced SEO options to boost the visibility of your landing page. Besides, you have some exciting options for color customization. Archer is RTL ready to create a website in RTL languages like Arabic, Hebrew, etc. 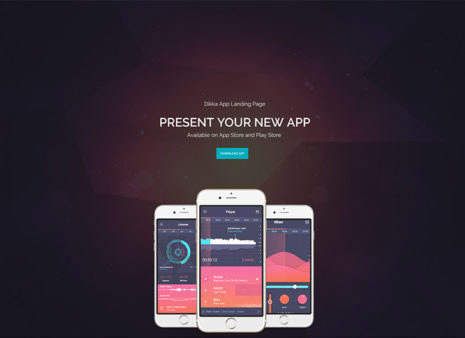 One more landing page for Apps is GEO plus. This app landing page WordPress theme is compatible with the Visual Composer page builder. So you can create pages of your choice easily, with drag and drop options. The GEO plus App landing page theme is SEO optimized and translation ready. You can choose from the available color options. You can use plugins like Mailchimp, Contact Form 7, and WooCommerce. Easily customize your landing page with the live customizer and create a site of your wish effortlessly. 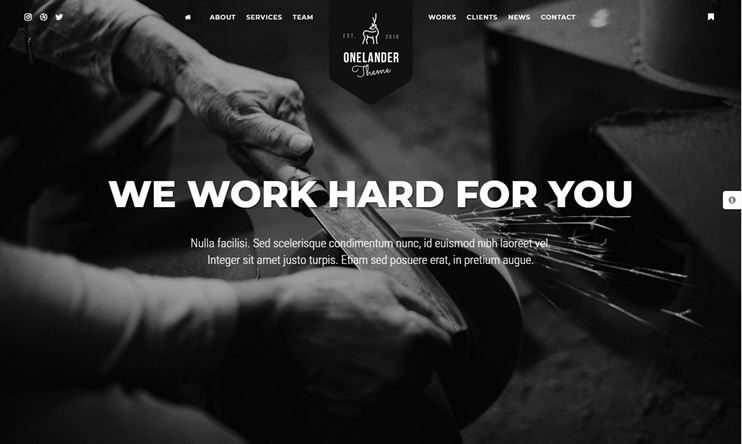 OneLander is a multipurpose and creative landing page theme. It supports the best WordPress plugins like Visual Composer, WPML, WooCommerce, etc. The theme comes with ready to use mega menus, video background support, parallax support, and Google font support. This landing page allows choosing from multiple homepage variations. OneLander is translation ready and SEO friendly. The theme is clean and easy to use, no coding skills required to create your landing page website. 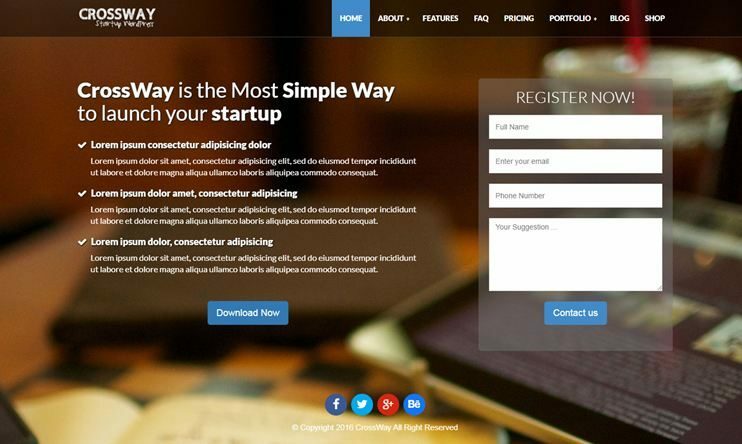 We hope this WordPress themes with landing page will help you create a website that converts better for you. So, just pick up a suitable theme and start creating your website. Before you buy a theme make sure that it has all the features you want for your website. Also read the support policy properly to ensure what kind of and till when you can get the support for your theme. WordPress opens up a new horizon of opportunities for you. So, just choose your theme and get started with your website. You can use the comments section below to let us know your views and opinions.